I can get a little obsessed with making a menu for our daily dishes. One thought leads to another and I spend hours agonizing over what I’m going to cook. This happened with chickpeas and blood oranges recently. I had two cans of chickpeas and I planned to make a tuna salad with them, some red onion, and blood oranges. Then I started thinking about Indian food. 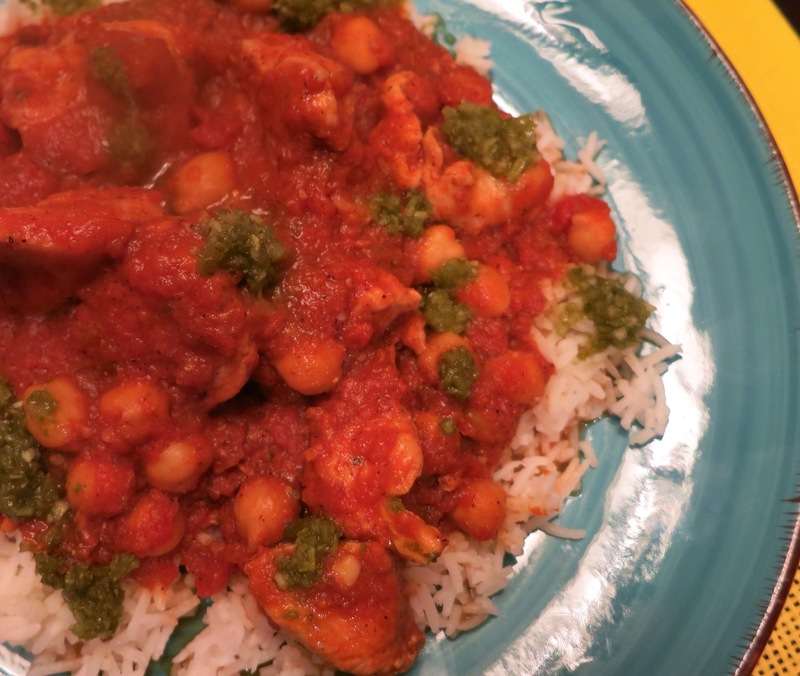 I suddenly wanted to make an Indian dish with chickpeas in a hearty, spiced tomato sauce. 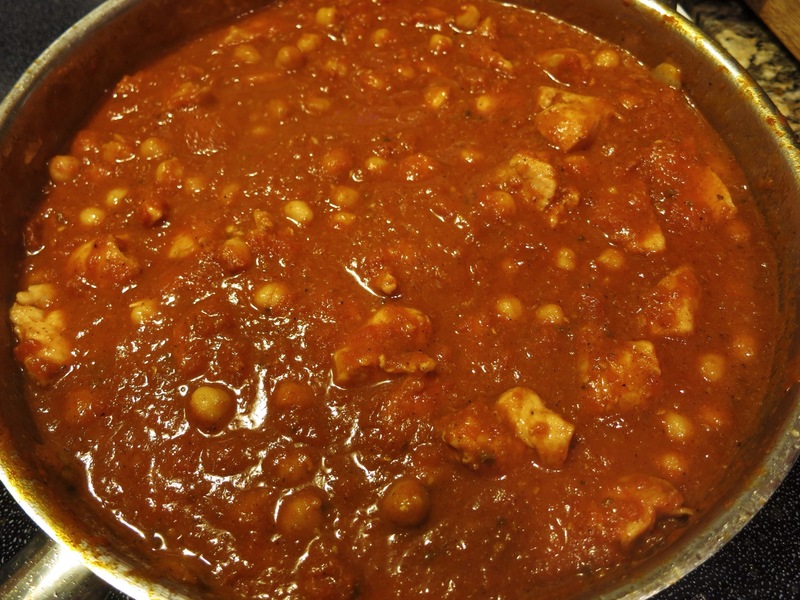 At that point I figured I should just use the chicken in the freezer and make a chicken tikka masala-ish dish. If you plan to do this, too, be sure to prepare your rice while your chicken dish is cooking. 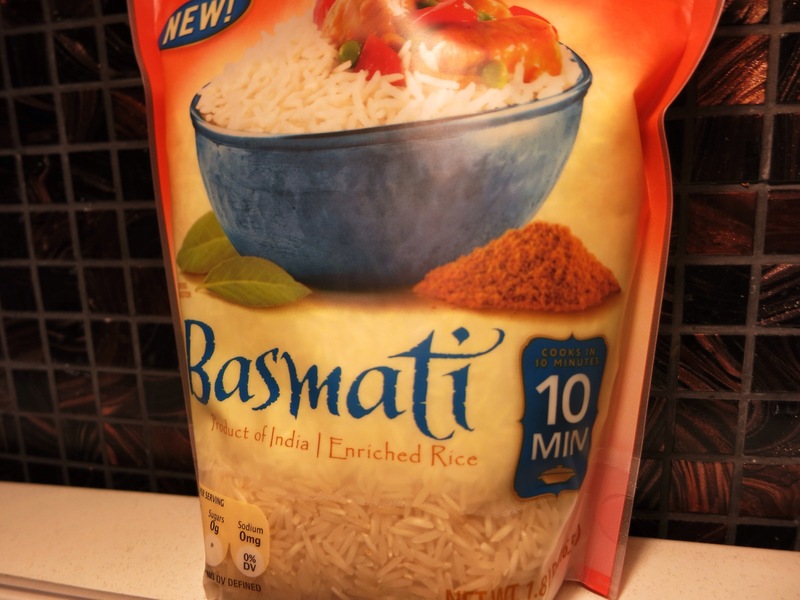 Here’s a note: If you use basmati rice, be sure to rinse it well in cold water (I used a strainer) before cooking. This gets rid of all that starch that causes clumpy, gooey rice. Rinsing first will give you single grains of rice. I highly recommend this. Thanks to the brilliant Aarti Paarti from Food Network for this tip, and the inspiration for this dish! Bring a large pan to medium-high heat. 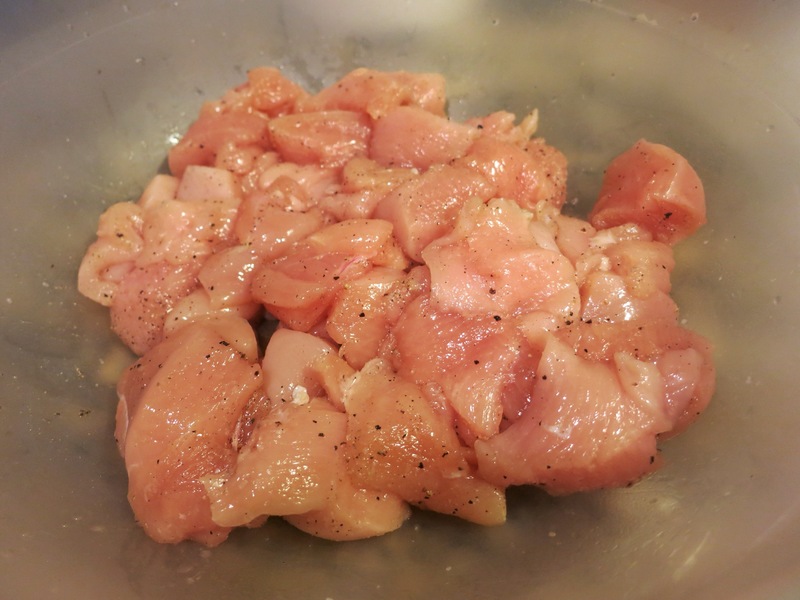 Toss the chicken chunks with a few good sprinkles of salt, pepper, and garlic powder (if using). Add one Tbsp. oil to the hot pan and swirl to spread it around. Add the chicken, moving it occasionally to keep it from sticking. Cook till brown, about 6 minutes. 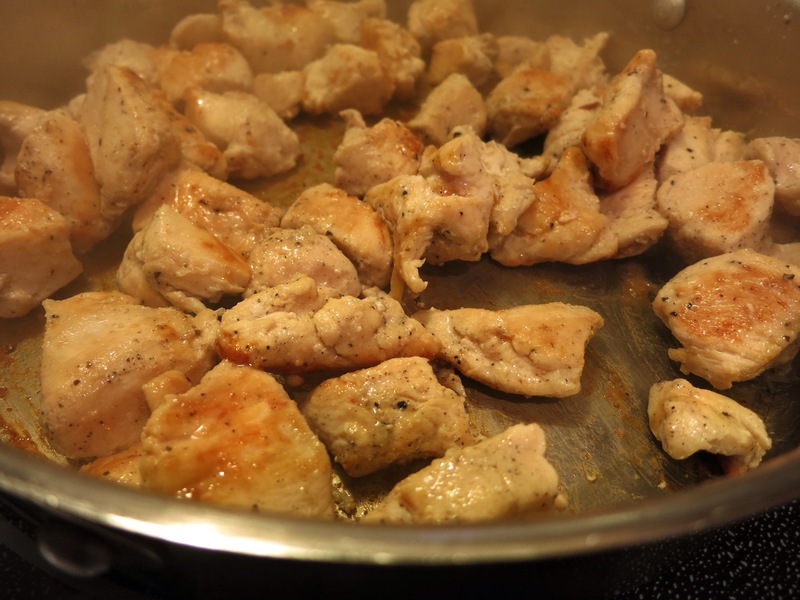 Lower the heat to medium and add the remaining tablespoon of oil to the pan. Add in the minced peppers and garlic. Grate in the ginger, or if you don’t have a grate, mince the ginger and add it to the pan. Stir. Add in the garam masala, paprika, and cumin. Stir. This toasts the spices. 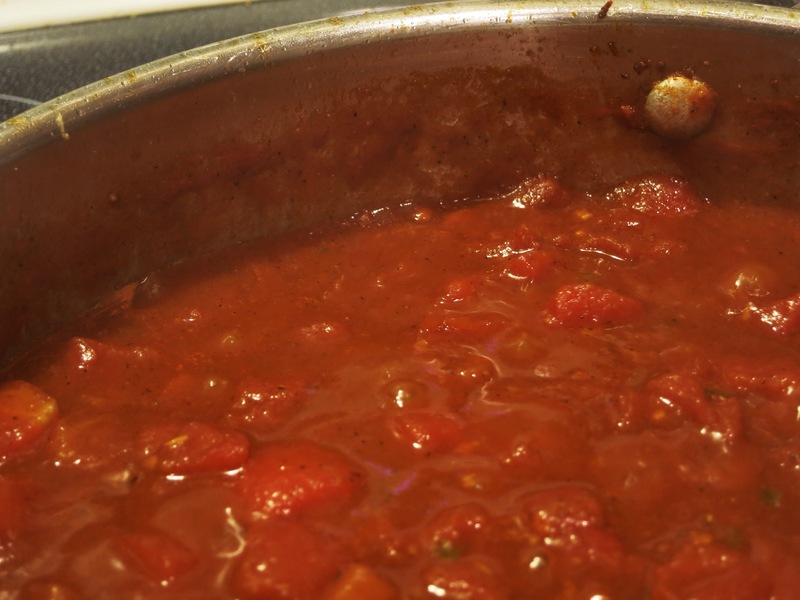 Stir in the half can of tomato paste. Let this cook for 2-3 minutes. You should get a good bit of browned bits on the pan. That’s flavor! Now add in the tomatoes, liquid and all. Scrape the bottom of the pan right away to get up those flavor bits. Add a good pinch of salt, bring to a boil, and let it boil for 3 minutes. Lower the heat to a simmer, a few bubbles hear and there. Let this cook for about 15 minutes or until the sauce reduces a bit. You’ll see the line getting lower and lower on the pan. Put the heat on low. If you have an immersion blender, use it to puree the sauce in the pan, otherwise transfer the sauce to a blender or food processor to puree. This is not necessary, but if you don’t do it, your sauce will be chunky. Your choice! 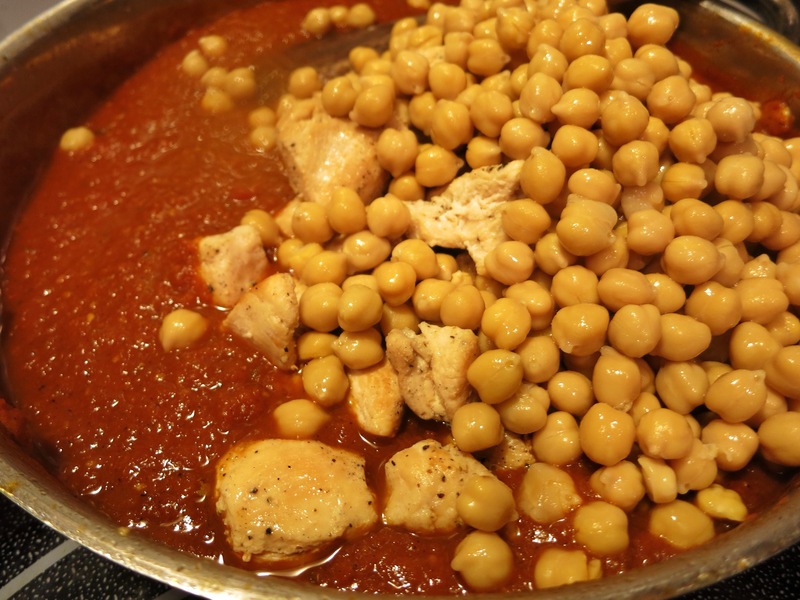 Once the sauce is pureed (ignore that if you don’t do it) and in the pan, add the chickpeas and the chicken, including any juices that accumulated on the plate. 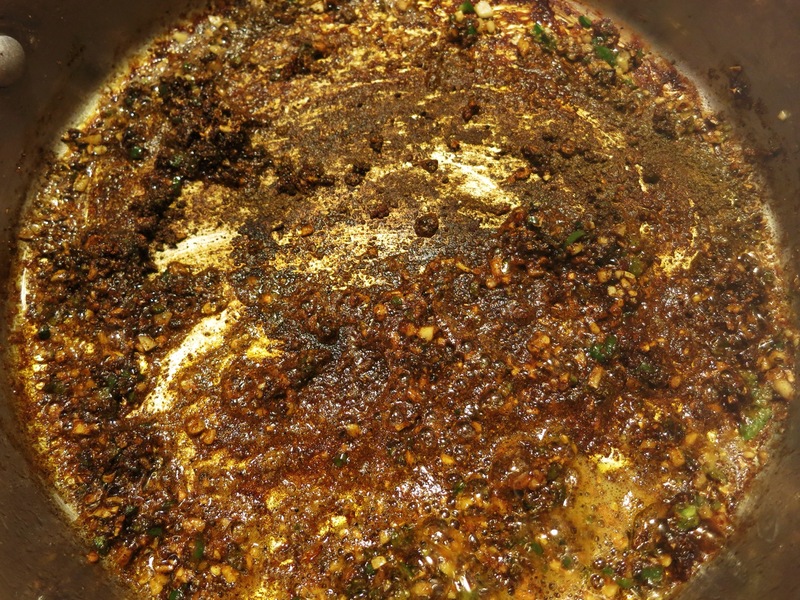 Bring the mixture back to a boil for 2-3 minutes. Stirring occasionally. Watch out for splatters! Reduce the heat to low. Swirl in the coconut milk and stir to combine. Serve this over basmati rice or in a bowl with some naan or a big hunk of good bread. You need something to sop up all that sauce. Trust me. If you like licking your dishes, forget the rice and bread. 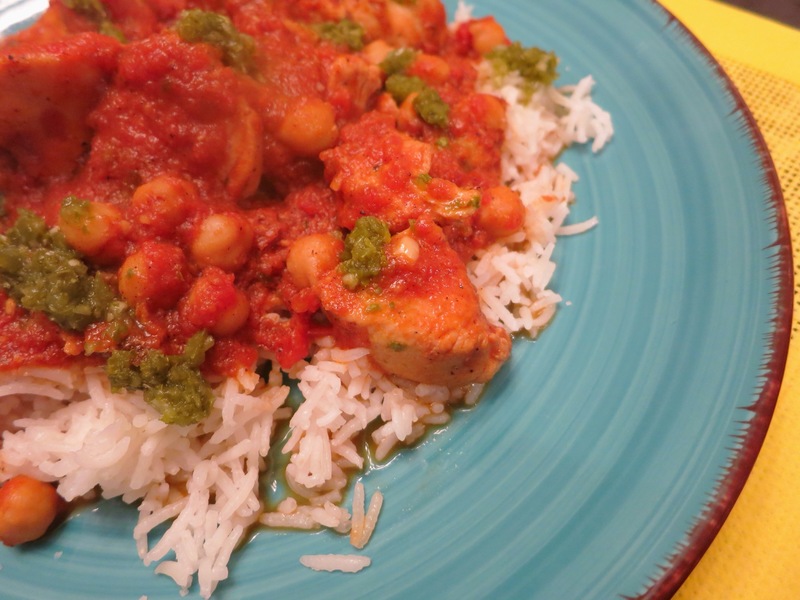 Chicken tikka masala is often made with fresh tomatoes and heavy cream. I chose canned tomatoes to save some money and coconut milk for the flavor and healthy fat. We topped this with some locally-made chutney I got from one of my favorite family-owned stores, The Grain Loft. Let me tell you this: I DESPISE cilantro. No, you don’t understand. I hate it. Hate. Hate. Hate. But, I adore this cilantro-laden chutney. I think the vinegar and hot peppers in it help. It’s perfection on top of this chicken dish. Oh yeah, the chicken tikka masala-ish is not spicy. I left the seeds in one pepper and emptied the other. That’s why the spicy chutney really kicked this up a notch. This is comfort food to me. I love macaroni and cheese, but I’d take this dish instead any day. Tip: Put the remaining half of that can of tomato paste in a resealable bag or in some plastic wrap. Wrap it up, getting out any air and stick it in the freezer. It’ll be there when you need it.